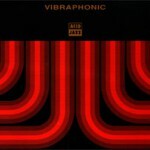 Released worldwide in 1993 on Acid Jazz Records. Features club hits “I See You” and “The Bounce”. Produced & arranged by Richard Marcangelo & Roger Beaujolais except track 2 (produced & mixed by Dave Barratt & Roger Beaujolais). Mixed by Phill Brown (except tracks 2 & 6).